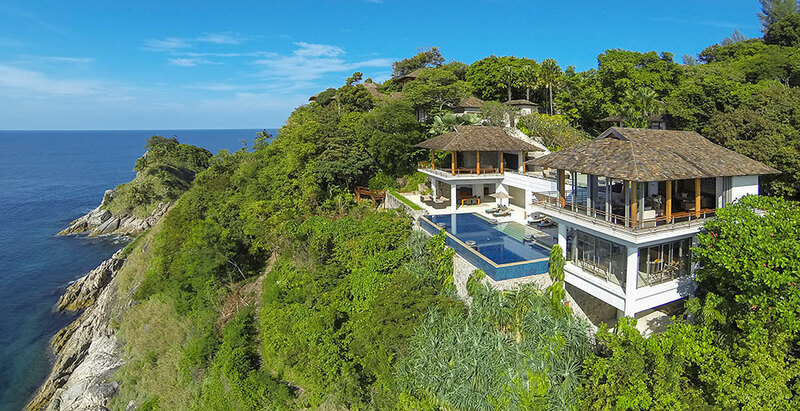 With breathtaking views across Patong Bay, the four-bedroomed Villa Wang Nam Jai is an elegant tropical escape for families or groups. Set in an exclusive estate near Kamala Beach, the villa’s expansive terraces and glass-fronted pavilions are positioned over five levels for exquisite ocean views. Outdoor areas are ideal for entertaining or relaxing and include a 22-metre pool, barbecue dining area, fussball, table tennis and plentiful seating. Dining, living and media rooms each exude comfort and grace, while the four ensuite bedrooms are exceptionally private and lavishly appointed. Staff, including a villa manager and chef, provide attentive and personal service.